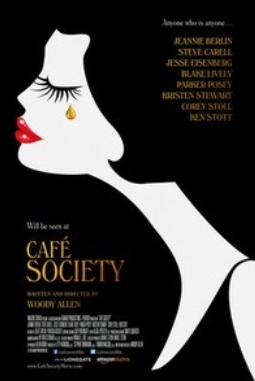 Simply put, Woody Allen’s Café Society is a sumptuous looking romantic comedy of 1930’s Hollywood at its most glamorous. Without the style of media existing today and the ability for cameras, TMZ reporters and online gossip, speculation and uninformed opinion to continually puncture the mystique, actors up there on that giant screen and beautifully framed in black and white were cinematic gods. With gorgeous set designs of nightclubs and pool parties and seemingly unlimited extras stylishly dressed, populating every corner of cinematographer Vittorio Storaro’s strikingly good-looking screen, Café Society never ceases to be anything other than undeniably attractive. Plus, the fact that the stars of the day are named rather than seen only adds to that sense of mystique experienced by audiences during Hollywood’s by-gone era. It’s a dazzling setup. But when the backdrop becomes more interesting than the story, then there’s an issue, and the issue is one of plot. Young Bobby Dorfman (Jesse Eisenberg) leaves his east coast family and moves west to California. 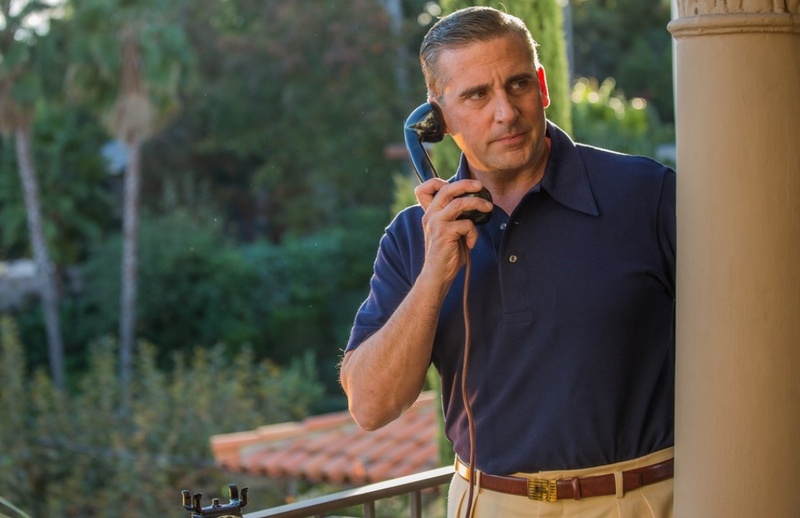 His Uncle Phil (Steve Carrell) is an agent to the stars – “I’m expecting a call from Ginger Rogers” – and Bobby hopes that this family connection will kick-start a career in the movies in any capacity, even if it means starting in the mail room. “You have a deer-in-the-headlights quality,” states Uncle Phil’s young secretary, Vonnie (Kristen Stewart) with whom Bobby is immediately smitten. But with love comes complications – in this case, an unexpected triangle – and young Bobby, probably for the first time, feels the pangs of life and love’s disappointments. Interesting plot points regarding Bobby’s family, the east coast gangster relative and Bobby’s later rise in the nightclub world are narrated by Allen with a surprisingly sluggish pronunciation. They come in short bursts with important events merely glimpsed; teasers for moments we should have seen in more detail, but used as time-passing bridges; plot-fillers to get us to the next, lengthier and less interesting scene. Perhaps the biggest surprise of all is that the least interesting character is the central figure, and that has nothing to do with Eisenberg’s performance, it’s Woody Allen’s script. Filmmaker Allen seems rarely influenced by current movie trends. His titles are always the same – black screen, white credits often accompanied by a light, jaunty jazz period recording – and his style of story-telling is straight forward and unfussy. It’s only in the casting such as Eisenberg, Carrell, Kristen Stewart and Blake Lively where something of today seeps into his film. While rarely laugh-out-loud funny, there are plenty of quotables. When mom writes to her son, she advises, “Live every day like it’s your last, and someday you’ll be right.” Plus, later when a more world-weary Bobby reflects back on events, he tells Vonnie that, “Life is a comedy written by a sadistic writer.” They’re good lines, and you hear Allen’s voice in every one of them, but they’re buried in a mediocre script. 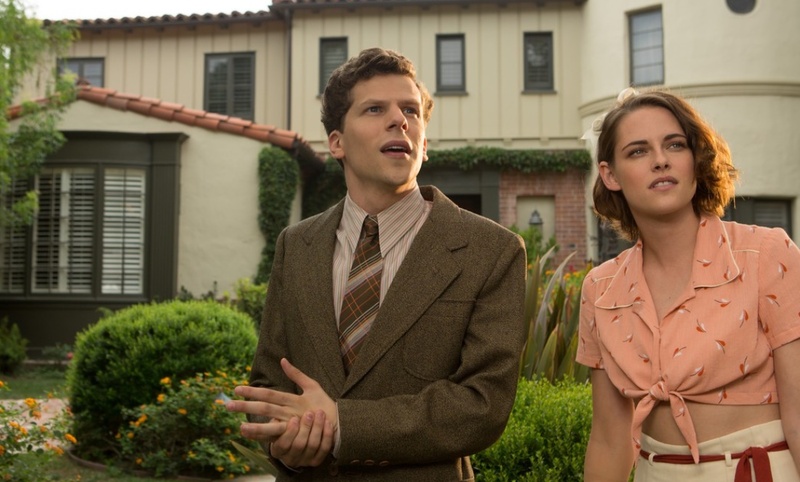 Ultimately, Café Society is a pleasant enough way to spend 85 minutes at the movies but by the fade out you’re left with the feeling that nothing much of interest has really happened. The best moments were told not shown.